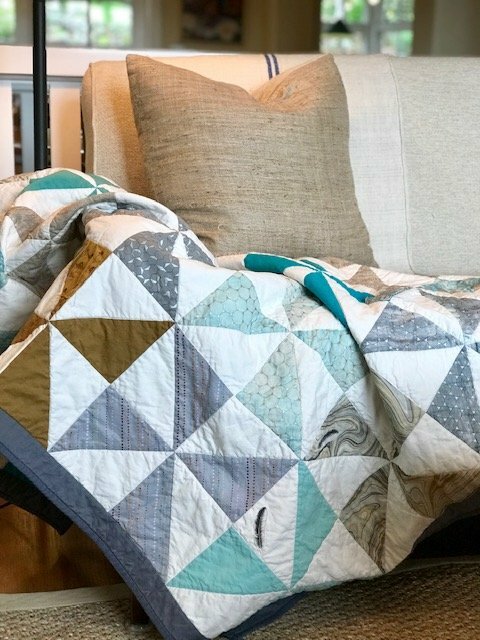 This great beginning quilting class is so versatile! Learn this technique and make it as small or large as you want...anything from a table topper to a full sized quilt. Join Michelle in class and learn from one of the best! Must know how to use your machine, which should be in good working order. Sewing machine with a 1/4' foot for piecing and a walking foot to use when quilting. Batting: a rectangular piece measuring 57" by 16"
Binding: enough fabric to cut 4, 2 1/2 inch strips the length of your fabric (selvage to selvage). Approximately 1/3 yard.